The two women who were caught stark naked claiming to be witches at a house in Budiriro, Harare and were arrested were back to their prostitution profession in Chihota communal lands.Elmet Mbewe and Christine Nyamupandu were on Monday this week released on US$200 bail each after spending one and a half months behind bars. When The Herald tracked them down at Landas, in Chihota communal lands many people interviewed said the duo had gone back to their old profession after their attempt to make a ‘quick buck’ was foiled. “They have not even rested a day but they have already started their business. These women are not witches, but well known prostitutes,” a man who declined to be named said. Another villager also said Elmet’s husband was a bogus prophet and died three months ago after being released from prison where he was serving a five-year jail sentence. “The husband Innocent Jinya was a traditional healer and had been jailed for defrauding a client more than US$80 000,” he said. A bar tender at a bar at Landas also said she was threatened by the two women who were accusing her of revealing their true identities to The Herald after they were arrested. “One of them came to me and threatened to assault me after she accused me of having disclosed their details to the press. I told her off and we almost had a fight, but we were restrained,” the barwoman who only identified herself as Wasu said. 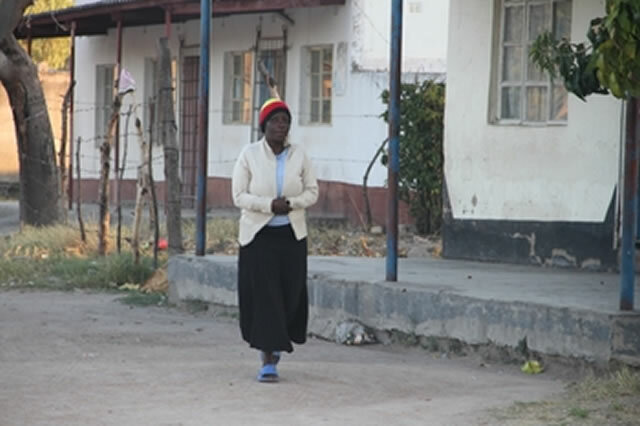 When The Herald visited Landas on Tuesday night the two women kept a low profile after vibes went round that journalists had visited the area. When The Herald asked for an interview the duo refused saying they had already granted the newspaper an interview while in remand prison. “We have already said all there is. We have nothing else to tell you. Please let me do my washing,” Elmet said before walking away. Christine’s brother Tendai Matiyenga also confirmed that her sister survived on prostitution and was not a witch. “There is nothing you can do when your sister is involved in such activities. She is my blood and I cannot disown her for that. I am ashamed,” Matiyenga said. He openly admitted having sourced the owl, but denied ever being involved in the clandestine scheme. “I just wanted money. I didn’t know about all this prophet and witchcraft issues,” he said. Matiyenga said he was convinced that the two women were enticed by money and used by the ‘fake’ prophet to pose as witches for him to become famous. Acting Chief Chihota, Mr Phineas Chigodora said once the courts have finalised the criminal case he would convene another hearing to get to the bottom of the witchcraft case. “We have to ask them what they wanted to do before we can make them to pay fines for bringing the name of this community into disrepute,” Chief Chihota said. The two were arrested on September 10, outside self-styled prophet Alfred Mupumbati consultation rooms at a house in Budiriro along Gatawa Street. The duo had an owl, two winnowing baskets, animal skins, gourd, talisman and stuff believed to be used for witchcraft purposes. They claimed that they were not witches but were hired by Mupfumbati and promised a Nissan Navara as payment. Mupfumbati was also arrested, but is denying any links with the two women.